Whether they’re zipping up a Roots leather jacket in Israel or pulling on a Canada Goose parka in Switzerland, more shoppers are showing love for brands with a “Made in Canada” label, according to recent global survey. German-based statistics and market research firm Statista found positive perception of Canadian-made goods surged by 45 per cent over a 12-month period. Overall, Canada placed sixth behind top-ranked Germany, Switzerland, the European Union, the U.K., and Sweden. The survey data was collected in December 2016 and January 2017. While the data does not bear out the direct cause of the sudden affinity for all things Canuck, the firm’s head of market research said Canada garnered favour on the back of one man in particular. Researchers asked 43,034 participants in 52 countries to rate how their perception of products made in each country have changed over the 12-month period on a one to five scale. Canada’s approval lead grew by more than any other nation except Japan, which also increased 45 per cent. 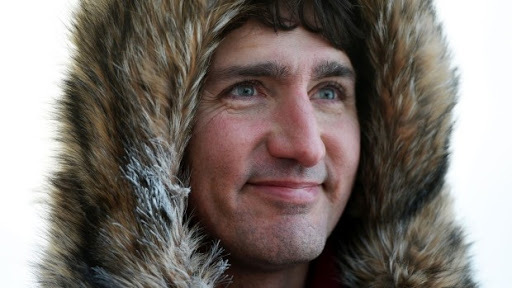 Loose chalks Canada’s growing popularity up to a fresh case of Trudeaumania mainly due to the fact that he sees no other viable explanation for the sudden increase. The Made-In-Country-Index (MICI) 2017 is Statista’s first analysis of this type, so it’s impossible to make a year-over-year comparison to gauge Canada’s ranking under previous prime ministers. Canada was also ranked number one globally in sustainability/eco-friendliness and fair production, and placed in the top 10 within the high quality, high security standards, advanced technology, authenticity, and status symbol categories. More than 1,000 Canadians who were surveyed for the report were keen to show their patriotism, ranking their home country number one.